Simon Davis paints thoughtful contemporary oil paintings. 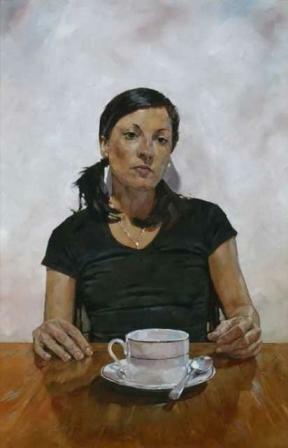 His work shows great sensitivity and skill and this has been acknowledged in the National Portraits Awards Exhibition where ''Portrait of Amanda Smith at Vincent Avenue'' won the runner-up prize for 2008.This is the most prestigious portrait competition in the world, highlighting the very best in contemporary portrait painting. His work often shows carefully observed faces or figures. ''Portrait of Amanda Smith at Vincent Avenue'' is an example of his individual style. Skilfully using light and shade create texture and depth to the study, he draws our attention, close-up, to her face and expression.